With the growth of internet, social networks has become primary source for people to present their views on different topics. 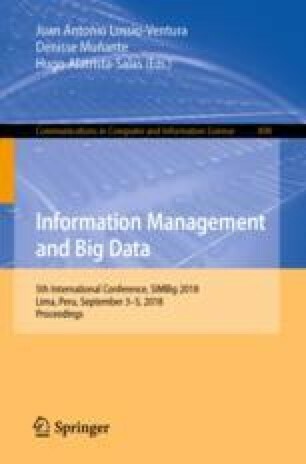 The data collected from social media are considered enough as well as reliable to be processed and gather insights on the perceptions of people towards any topic. In this research work, an empirical study of the Twitter data (i.e. around 400,000 tweets) collected for the period of December 1, 2017 to March 31, 2018, pertaining to Indian Cleanliness Campaign called Swachh Bharat Abhiyan (SBA), which focuses on improving the cleanliness situation in the country, has been done. Here, a demographic distribution of the Twitter data has been generated by augmenting partial keyword matching along with Named Entity Recognition for geoparsing the tweets. This will help to study the involvement of the people in different areas of the country. Furthermore, Sentiment Analysis of the tweets has been performed to gather the perception of people towards the campaign. Also, to assure the integrity of the campaign, the tweets have been segregated into public and government generated tweets and the respective sentiments have been compared to determine the difference in perception of public and government in different areas of the country. This work can be considered of interest because there has not been any research work which focuses on analyzing the awareness and perception of people on SBA in detail.